Long Live Marxist-Leninist, and Mao Zedong Thought! Mao was loyal to Marxist-Leninism, and to Stalin, but Khrushchev in 1956 betrayed that cause by demonizing Stalin. The USSR then slowly drifted into desolation and its demise in 1991. The USSR and China had an ideological split because of this, with China viewing the USSR as departing from Marxist-Leninism. Ironically, this saw the development of the Soviet policy in the post-Khrushchev era, of deliberately demonizing their former ally – the People’s Republic of China (PRC) – in every sphere of socio-economic activity it participated within. As the Communist Party of the Soviet Union had branches that were spread throughout the world (which served as national Communist Parties), the demonization and denigration of the PRC was an easy policy to disseminate amongst the people. Despite radically departing from Marxist-Leninist-Stalinist line of thinking under Khrushchev, the USSR continued to function as the guardian of world Socialism, and the protector and perpetuator of Marxist-Leninist orthodoxy – a line of thought that even if true, defied the Marxist-Leninist line of not participating in, and encouraging the creation of ‘dogma’ which prevents all further truly proletariat scientific development and endeavour. This is because, just as much for Marx as it was for Lenin, dogma represented an ideological dead-end similar to that found within religion. On the other hand, China has continued to evolve Marxist (and Leninist) theory, and has developed new ways of viewing the contemporary world through Marxist eyes. This has meant that Leninism has been retained in essence (as Lenin was never an enemy of China), and partly reformed in practice, not because it is wrong – far from it – but because it is sometimes out of date with regard to the socio-economic situation it assesses. Marxism (and Leninism) as applied to China is relevant to the historical, socio-economic, and cultural conditions of contemporary China. Modern Chinese thinking is premised entirely upon the Marxist method of analysis, and it does not differ from Leninism in essence, but only in outer form, or practice. The Marxist method must not stagnate, but be forever evolving or it merely becomes yet another political dogma destined to be consigned to the dustbin of history. After the demise of the Soviet Union in 1991, the Communist Party was officially dissolved at its headquarters in Russia, along with its constituent branches in other countries throughout the world. However, many of these branches, although officially ‘disbanded’, continued to function as ideologically disparate and independent entities, all agreeing on the pursuance of the general goal of leading the proletariat to world revolution, whilst simultaneously disagreeing with one another on various issues of ideological interpretation, policy, and general direction. In effect, each former branch of the Communist Party of the Soviet Union became in 1991, a self-contained, and isolated political entity that retained much of the ideological baggage associated with the post-Khrushchev era of the Soviet Union. 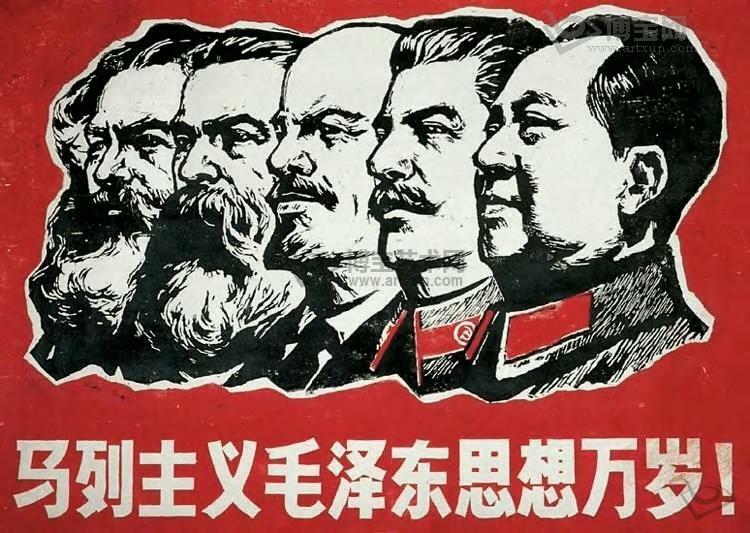 A central pillar of this dogma has been the casual and routine denigration of the People’s Republic of China (PRC) and a thoroughly unMarxist attempt at deconstructing China’s evolution of Marxist thought, together with the development and application of Socialist policy to suit an ever changing modern, and post-modern world. The major and most obvious contradiction evident in this situation is that the people of China have already achieved their Socialist Revolution, whilst the people of the West have yet to achieve theirs.